Information about the genetic population structure of the Atlantic spotted dolphin [Stenella frontalis (G. Cuvier 1829)] in the western North Atlantic would greatly improve conservation and management of this species in USA waters. To this end, mitochondrial control region sequences and five nuclear microsatellite loci were used to test for genetic differentiation of Atlantic spotted dolphins in the western North Atlantic, including the Gulf of Mexico (n=199). Skin tissue samples were collected from 1994–2000. Significant heterozygote deficiencies in three microsatellite loci within samples collected off the eastern USA coast prompted investigation of a possible Wahlund effect, resulting in evidence for previously unsuspected population subdivision in this region. In subsequent analyses including three putative populations, two in the western North Atlantic (n=38, n=85) and one in the Gulf of Mexico (n=76), significant genetic differentiation was detected for both nuclear DNA (RST=0.096, P≤0.0001) and mitochondrial DNA (ΦST=0.215, P≤0.0001), as well as for all pair-wise population comparisons for both markers. 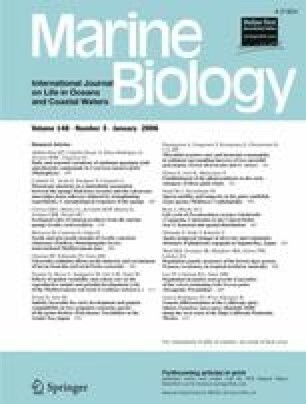 This genetic evidence for population differentiation coupled to known biogeographic transition zones at Cape Hatteras, North Carolina and Cape Canaveral, Florida, USA, evidence of female philopatry, and preliminary support for significant genetic differences between previously documented morphotypes of Atlantic spotted dolphins in coastal and offshore waters all indicate that the biology and life history of this species is more complex than previously assumed. Assumptions of large, panmictic populations might not be accurate in other areas where S. frontalis is continuously distributed (e.g., eastern Atlantic), and could have a detrimental effect on long-term viability and maintenance of genetic diversity in this species in regions where incidental human-induced mortality occurs. This work was made possible by the people who provided samples, including A. Hohn, W. Hoggard, W. Jones, K. Mullin, and T. Martinez (NMFS-SEFSC); B. Griffin (Mote Marine Laboratory), J. Nicolas (NMFS-NEFSC), and W. McFee (NOS). The authors would like to thank Bill Amos (Cambridge University) for use of his microsatellite binning program. Special thanks also go to Sarah Kingston (NMFS-SEFSC) for confirming species identification of several samples using nuclear AFLP markers, Anna Sellas (NMFS-SEFSC) for her work that made depth stratification possible using Arcview, and to Krystal Tolley (University of Stellenbosch) and two anonymous reviewers for suggestions that improved this manuscript. Contributions to sample depth analyses made by Keith Mullin (NMFS-SEFSC) were also much appreciated. All biopsy samples were collected under US Marine Mammal Protection Act Permit numbers 738, 917, and 779–1339 issued by the US National Marine Fisheries Service. Funding for this study was provided by the National Marine Fisheries Service and the Lerner-Gray Fund for Marine Research. This is contribution number 277 of the Grice Marine Laboratory, College of Charleston, Charleston, SC. This publication does not constitute an endorsement of any commercial product or intend to be an opinion beyond scientific or other results obtained by the National Oceanic and Atmospheric Administration (NOAA). No reference shall be made to NOAA, or this publication furnished by NOAA, to any advertising or sales promotion which would indicate or imply that NOAA recommends or endorses any proprietary product mentioned herein, or which has its purpose as an interest to cause the advertised product to be used or purchased because of this publication. All experiments carried out in conjunction with this research comply with the current laws of the United States of America.